What is Amniotic Fluid Made Of? 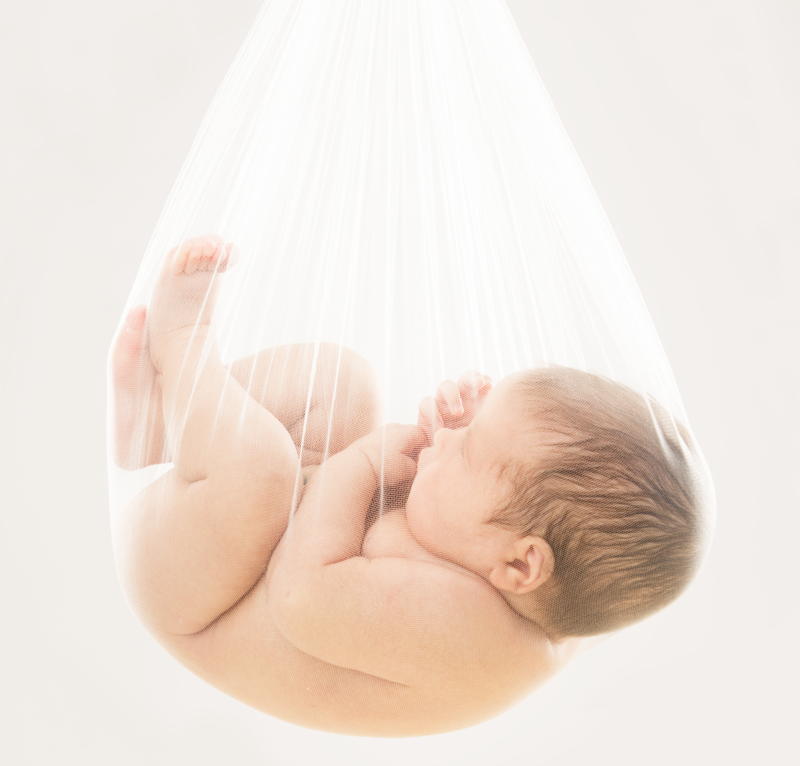 Mekala asks: What is amniotic fluid actually made of? Is it just water and stuff the baby poops and pees or is it like saliva? Just wondering. Thanks! Essential for the development of a healthy baby, amniotic fluid is a complex liquid that nourishes, facilitates growth, cushions and protects the growing fetus. Amniotic fluid begins to form almost as soon as implantation of the egg occurs. Growing in volume at a rate faster than the embryo at first, the initial water in the fluid comes from the mother’s blood plasma. As development progresses, so does the amount of fluid: at 10 weeks, there should be approximately 25 ml of fluid, while at 20 weeks, there should be about 400 ml (about 14 ounces). Through the first five months, the amniotic fluid’s composition will be similar to the fetus’ plasma, due in no small part to the fact that the baby has yet to develop an outer layer of skin filled with keratin (the protein found in the outer skin layer that makes it waterproof). Keratinization (which begins at about 20 weeks and is complete by 25 weeks) is a key moment in the production of amniotic fluid, as after it occurs, at 28 weeks, the amount of amniotic fluid peaks and plateaus at about 800 ml. From this point, it will only decline until it falls back down to about 400 ml at 42 weeks. Also after keratinization, the composition of the fluid will be different, and will include fetal urine, as well as secretions from its mouth, nose and throat, lung fluid, etc. Throughout gestation, fluid moves in and out of the baby and between the baby and the mother, allowing for changes in composition coinciding with changes in development. During the latter half of a pregnancy, urea and creatinine increase, while sodium and chloride will decrease. One of amniotic fluid’s primary purposes is to nourish the fetus, and to do so, it is filled with proteins, carbohydrates, lipids, peptides, taurine, glutamine, lactate, pyruvate, electrolytes, hormones and enzymes, and these circulate from the fluid into the fetus through the skin, and later in development are swallowed by the fetus and excreted by him or her. Epidermal growth factor (EGF) and transforming growth factor alpha (TGF-a) and beta-1 (TGF-b1) are also found in the fluid, as are insulin-like growth factor I (IGF-I), erythropoietin (EPO) and granulocyte colony-stimulating factor (G-CSF). Of course, the fluid is also important in cushioning and protecting the growing fetus, and for the latter, it is filled with antimicrobial peptides and enzymes to fight against potentially invading viruses and bacteria. In addition, because the baby breathes in the fluid, it is critical in helping the fetus’ lungs to develop. Likewise, because the baby also swallows the fluid, it is key to helping its digestive system to mature. An average human fetus toward the end of a full term can consume as much as 15 ounces of fluid in a single day. The mechanical aspects of the fluid are also important to the growth of bones and muscles, as the fluid allows the baby to easily move around, which helps it both develop and strengthen. Furthermore, the simple act of lubricating all parts of the baby helps keep the different developing parts of the fetus from growing together (think webbed toes). From all this, you may not be surprised to learn that having too little or too much amniotic fluid can be a problem. Too little, called oligohydramnios, is usually caused by a premature rupture of the membranes, post-term pregnancy, poor fetal growth, certain birth defects that affect the kidneys and urinary tract and twin-to-twin transfusion syndrome. It is discovered either via ultrasound or when fluid is leaking from the sac, and treatments are limited to an amnioinfusion or, simply, delivering the baby. Oligohydramnios is the most worrisome if it occurs during the first six months of pregnancy and can cause birth defects, miscarriage, stillbirth and premature birth. If it happens during the last trimester, slow fetal growth may occur, and a ceasarean birth may be required. On the other hand, too much amniotic fluid, called hydramnios, is caused by maternal diabetes, gastrointestinal abnormalities in the fetus, fetal swallowing problems, twin-to-twin transfusion syndrome, a fetal infection and heart failure. The symptoms of hydramnios include a rapidly growing uterus, maternal discomfort and even contractions. Treatments include medications, amnioreduction via amniocentesis and delivery. While mild hydramnios may cause no problems, severe hydramnios can result in defects of the brain and spinal column and blockages of the digestive system.